Our Loughton shop, 271 Fashion, is home to the best in St Clare’s high street fashion and menswear. Stocking a wide range of both new and pre-loved clothing, shoes and accessories for men and women – 271 is a must when it comes to shopping for high street chic! 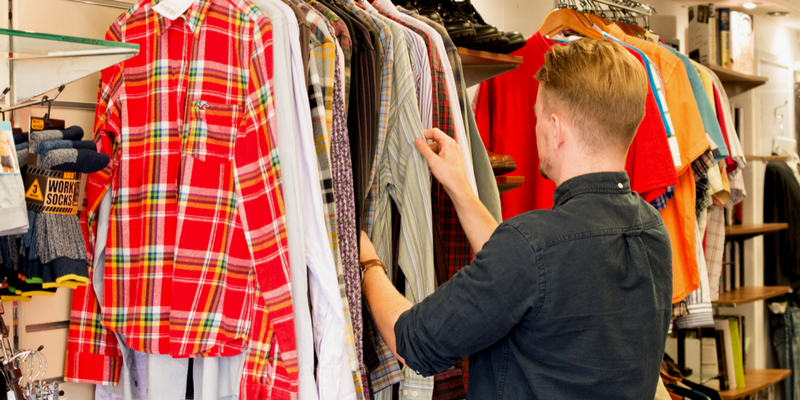 Offering a mix of premium branded clothing, and an excellent selection of fashionable menswear and womenswear, the shop is a treasure trove of both new and pre-loved fashion, accessories and artefacts. Come down and bag a bargain! We always welcome donations. Stop by with your unwanted goods and support your local charity.